This card's seriously packed with color. Its over-the-top combo of Astroturf green, Pepsi's American-flag logo, and an extremely airbrushed Texas home uniform nearly blow my visual receptors. 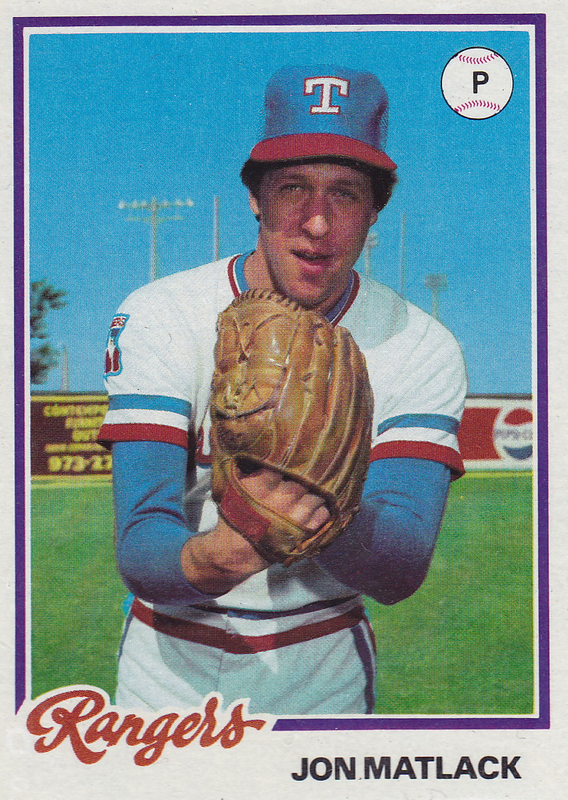 Jon's normal 1978 Topps #25 pictures him as a Met (see it at CheckOutMyCards.com), so the Burger King version's his first card as a Ranger. 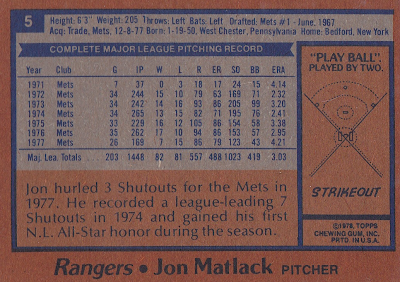 Matlack moved west from New York in a 4-team trade executed on December 8, 1977--a swap so huge it requires 7 bullet points. For those counting along at home, 3 NL teams, 1 AL team, and 11 players! Folks often mistake Burger King and Topps issues for each other, since they usually share front photos and identical backs. See the master Burger King checklist to match your card to its correct set. 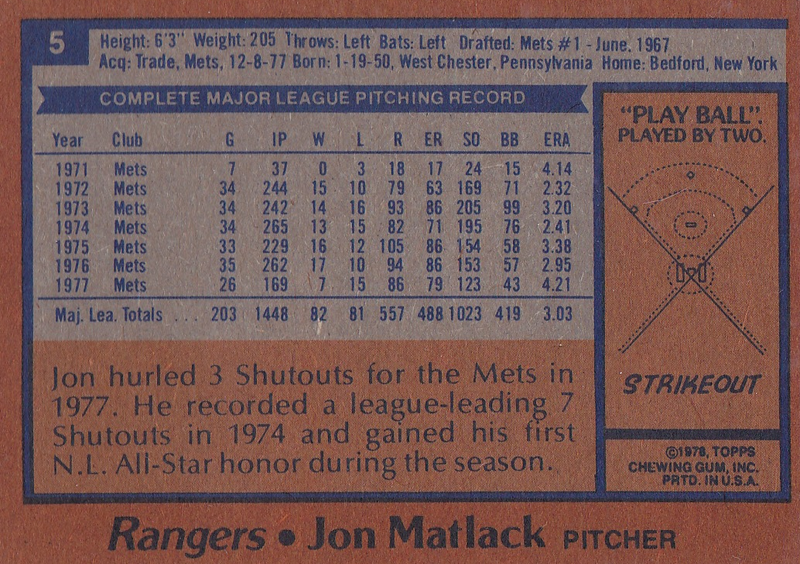 Value: This Matlack cost $1 from Philly Sports Cards. Most consider the 1978 Rangers a team of "commons," though they did have two guys named Doc (Medich) and Dock (Ellis).